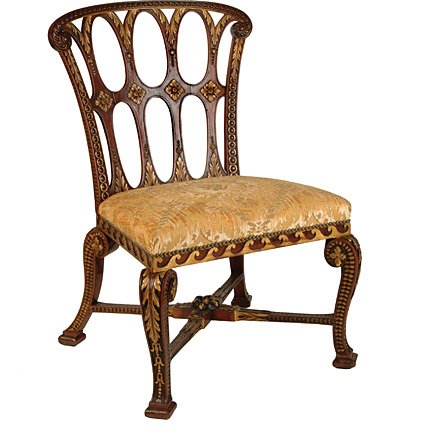 A mahogany parcel-gilt saloon chair English c. 1740, attributed to John Boson and possibly designed by William Kent. 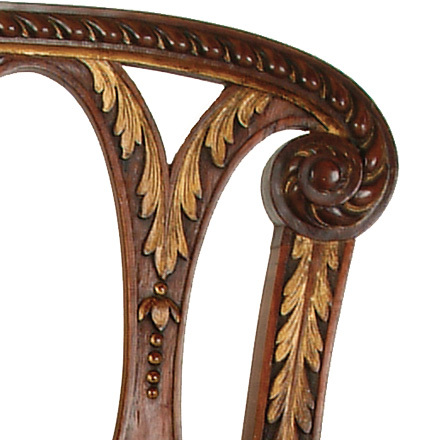 Features a slightly curved back with gadrooned top-rails and scrolled shoulders, the stiles are carved with guilloches and to the side with scales, the back is pierced with ovals carved at the intersections with rosettes and above and below with acanthus. 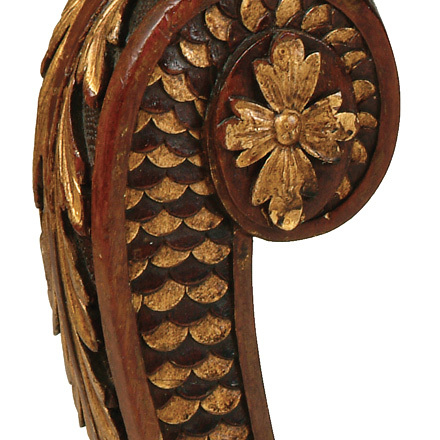 The seat rails are carved with Vitruvian scrolls resting on angled scrolled tapering legs carved at the fronts with acanthus and bell-flowers. 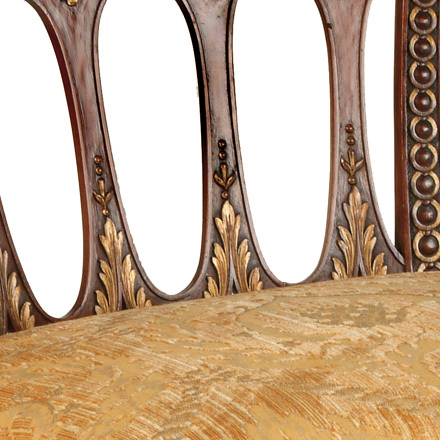 The original set of ten chairs, with a provenance including Wroxton Abbey and Mereworth Castle, is in the collection of Mr. and Mrs. Gordon Getty.